Our Patriarch Jacob had twelve sons whose families grew into the twelve tribes of Israel. The Land of Israel was divided amongst these twelve tribes when Joshua conquered the land. After the death of King Solomon, the Land of Israel was divided into the kingdoms of Israel and Judah. Even before the destruction of the First Temple, ten of the twelve tribes were exiled from the land and they are known as the ten lost tribes. The remaining Jews in the kingdom of Judah became known as “Jews” indicating they come from the tribe or area of Judah. In truth, many Jews from the other tribes also lived in Judah but the separate identity of the tribes ceased. However, one tribe — the tribe of Levi — continued to retain its separate identity. Within the tribe of Levi were the descendants of Aharon the High Priest, known as Kohanim. Thus today, all Jews identify as being a Kohen [a descendant of Aharon], or Levi [from the tribe of Levi], or simply an Israelite, a Jew with no particular tribal identity. Levi was the third son of Jacob. The Tribe of Levi always remained loyal to Hashem, both in Egypt and also by not worshipping the golden calf. They were rewarded with special privileges that would otherwise have belonged to the firstborn of Israel. These special privileges involved carrying the Mishkan [the Tabernacle] and all its furniture when travelling in the desert and serving in the Temples in Jerusalem. The Leviim were musicians and singers who accompanied the Kohanim as they offered the sacrifices in the Temple. In addition, the Leviim served as teachers of Torah, touring the country and instructing the people in the ways of the Torah. Because of their special duties, they were not given a portion in the land to cultivate as were the other tribes, rather they lived in cities dotted around the country. The Torah commands that they were to receive Maaser a tenth of the produce of the land, which was paid to them as a kind of wage for performing their work on behalf of the people. Nowadays, the special privileges of the Levi is that he is called up second [after the Kohen] by the reading of the Torah and he also assists the Kohanim with the washing of their hands before they recite the Priestly Blessing. Hashem chose Aharon, Moshe’s brother to be the High Priest — Kohen Gadol. All Aharon’s descendants became Kohanim — priests. [It must be noted that all Kohanim belong to the tribe of Levi — they are just a select group within the tribe of Levi]. The Kohanim had special privileges in the Temple that included; bringing the sacrifices, offering incense, lighting the Menorah. The first part of the book of Vayikra describes in detail the laws of the sacrifices performed by the Kohanim and for this reason it is called Torat Kohanim — the Laws of Priests. Kohanim wore special garments in the Temple and had to be particular in the laws of purity — not allowing themselves to become Tameh — impure — by being in contact with something impure, for example, a dead body. A man who has touched a dead body must be sprinkled with the waters of the Red Heifer before he enters the Temple]. Amongst the Kohanim, one Kohen was chosen to be the Kohen Gadol, the High Priest. He wore eight special garments and was considered to be the holiest person in Israel. One of the garments was a breastplate with twelve stones with the name of one tribe inscribed on each stone. Within this breastplate were the Urim VeTumim — a piece of parchment on which was written the Divine Name of Hashem. The Urim VeTumim guided the Kohen Gadol in his decisions. On Yom Kippur, we read of the special service of the Kohen Gadol inside the Temple. Another privilege belonging to the Kohanim is the honor of being called first to the Torah. If a Kohen is present but there is no Levi, then the Kohen says the blessings a second time in place of the absent Levi. If no Kohen is present then either a Levi or Yisraelmay be called up. A Kohen is always honored first in a group. For example, if three or more males over age 13 ate a meal of bread, then it is customary for one to invite the others to say Grace. This is called Zimun. A Kohen must first be offered this privilege. directly descended from the family of Aharon. 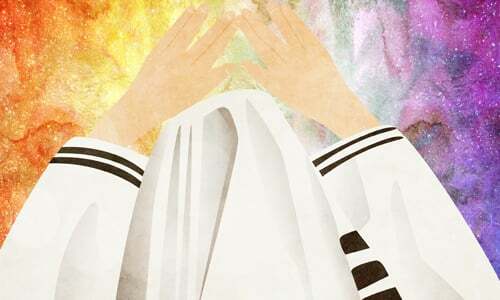 Just as there are special privileges associated with the Priesthood, so there are also special responsibilities which are necessary to enable the Kohanim to reach a higher spiritual level than the rest of Israel. A Kohen is forbidden to marry a divorcee. A Kohen is forbidden to enter a building if he knows that there is a dead body there. This does not apply to his own close family: i.e. parents, child, brother, wife or unmarried sister. If a Kohen attends a funeral, he should enter a special room in the cemetery, separated from the main hall where the coffin lies before burial. A Kohen is forbidden to come nearer than four cubits (six feet) to a grave. Key Jewish Facts contains the essentials which every Jew should know about Judaism. What is so special about the aliyahs?